Key facts: Organic. Da capo means from the top. 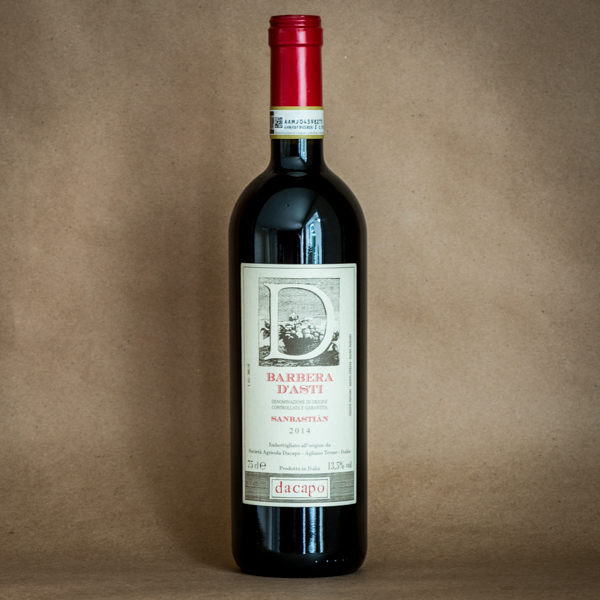 In 1997 this estate represented a new start for two friends, colleagues from the wine trade with a desire to focus on wine with finesse, elegance, and authenticity. Grapes: 80% Pinot Nero, 20% Chardonnay. Method: "metodo classico" or "champegnoise"; second fermentation in bottle. Thirty six months on the lees before disgorgement. Method of fermentation: De-stemmed, then macerated on the skins for 10 days. Selected yeast, in temperature-controlled stainless steel. Aged in tank for six months and bottle for four months before release. Method of fermentation: destemmed, six-day maceration on the skins. Temperature controlled fermentation and then malolactic fermentation in steel tank. Bottled in spring. I have learned an Italian dieting secret. If you take a break for some cheese, bread, a little salami and wine every couple hours, you can basically skip every meal. It’s essential that you begin early. I began at dacapo, meeting a little before 8am on a sunny Friday morning. Our meeting was scheduled directly after my typical Italian breakfast of three shots of stovetop espresso and a little sweet cornbread cake studded with cherries. Our morning tasting contained an alluringly creamy, traditionally made wheel of robiola from a local farm, and a salami with the perfect texture and balance of meat to fat. An elaborately shaped loaf of local white bread was also present. I ate an embarrassingly large amount of all three, sneaking bites whenever possible. I made a meal of it, washed down with a pretty compelling line-up of wines. 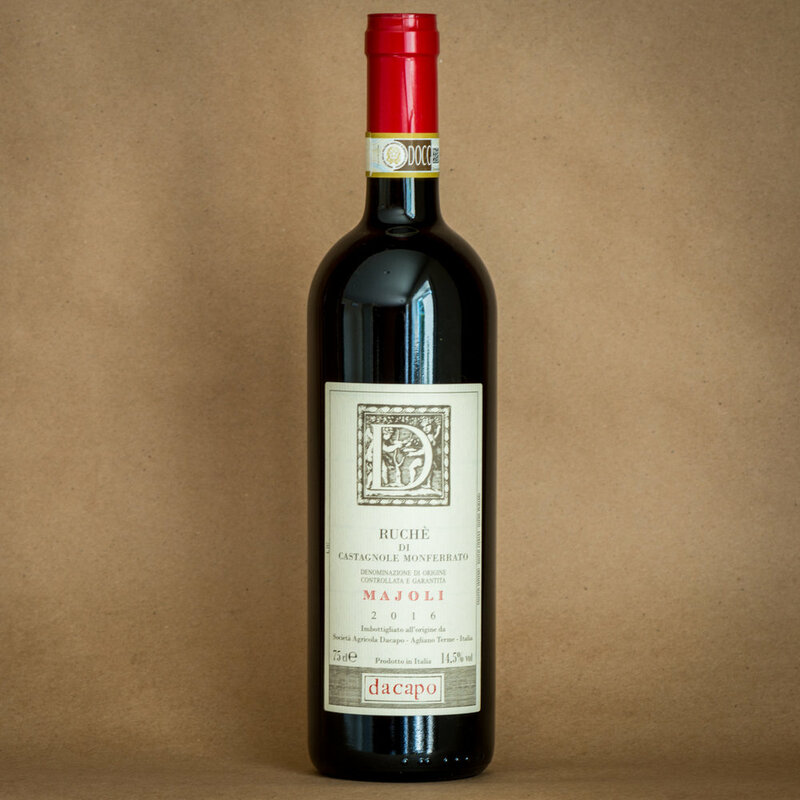 Dacapo makes 50,000 bottles (give-or-take) per vintage, from 7.5 hectares of organically farmed vineyards they own in two disparate Piedmont locations. The cellar is adjacent to vines in Agliano Terme, with other fields cultivated in Nizza Monferrato. Two terroirs enable a wide range of styles, from Champagne-method sparkling wine with an appealing citric aromatic profile, through a series of light, refreshingly fruity reds (Ruche, Pinot Nero/Nebbiolo) to a group of solid, grounded, ultimately very cellar-friendly Barberas, a Monferrrato Rosso, and a tiny bit of Barolo from Serralunga d’Alba. The final wine is vinifed in a separate cellar in that commune. The Barolo is almost an experiment in scale (250-300 cases) but a very successful one. We showed up for the Ruche, and stayed for so many others! The wines at dacapo are among the most elegant, quirky, and delicious bottles in our portfolio. Renata Bonacina is the owner of two small farms, Ca ed Balos (which means house of the naughty boy in Piedmontese) and dacapo. She’s currently consolidating everything into the cellar of the latter property in Monferrato. At Ca ed Balos in the Langhe Bonacina grows Moscato, Favorita and Dolcetto, other grapes (to date all the wines we sell) are grown at dacapo in Monferrato. Soils at dacapo are a mix of tufo and sandy clay. The vines are spread across four distinct parcels. Barbera is grown in Agliano Terme (around the cellar) Grignolino in a separate parcel (Valle Rotonda) also in Agliano Terme, Ruche in a vineyard called Majoli in Castagnole Monferrato, and Pinot and Nebbiolo in a distinct spot in Castagnole. The small team at these farms cluster thin in summer to optimize ripeness, use ladybugs and other forms of natural pest control, and pick entirely by hand into small baskets.